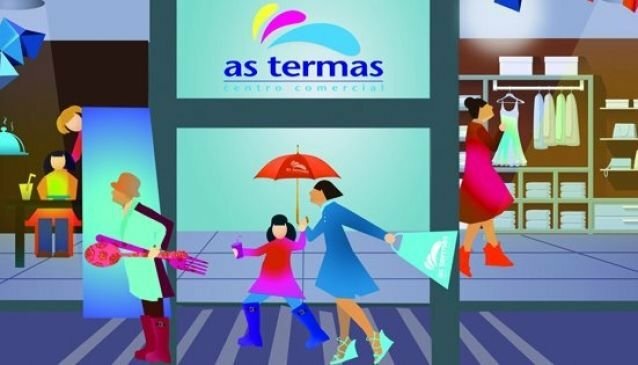 As Termas Shopping Centre is more than just a retail destination, with regular live events and a cinema. International big brands can be found alongside leading national stores including H&M, Inditex, C&A, Media Markt and Eroski. Since opening in October 2005, the centre has been a benchmark for retail and leisure in the area, with over 90 stores of food, fashion, accessories, electronics and homewares. Catch the latest film at the eight screen cinema complex or one of the dozens of unique events held at the mall, from fashion shows to dinosaur exhibits. Free parking, WiFi throughout the mall, mothers' rooms, a lounge and reading area are just some of the services provided.